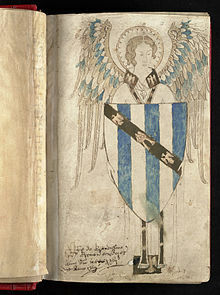 John Grandisson, the bishop who presided at Exeter in the turbulent middle years of the fourteenth century – the age of the papacy’s Avignon exile, the Black Death and the bloodiest battles of the Hundred Years War – has long been celebrated as a man of learning whose love of books brought some of the finest illuminated manuscripts into the Cathedral Library. He left his mark – that is to say, his ownership inscription and many marginal notes, underlines, comments and corrections – on a wide variety of books, including those still at Exeter. Yet surprisingly there is only one text that is attributed to him as his own work. Oxford, Bodleian Library MS 493 (fos. 1r-50v) contains a Latin life of Thomas Becket which is described in its original red-ink rubric as having been curated usefully and historically (compendiose et historice…collette) by John de Grandisson, bishop of Exon. Arranged in four parts, the text narrates the martyr’s progress from birth to death and canonisation, from the city of London which he honoured (decoravit) as his family home, to his final reward from Pope Alexander III of his name being added to the catalogue of martyrs (martyrum cathologo addendum decrevit), after which his feast was always celebrated. As the colophon acknowledges, the life is not an original composition. The text is founded on the Quadrilogus, the composite life of the archbishop first compiled by Brother E – his name may have been Elias – a monk of the Benedictine abbey of Evesham, which attempted at a synthesis of the accounts of Becket’s chapter colleagues at Canterbury, William and Alan of Tewkesbury, and his friends, Herbert of Bosham and John of Salisbury. The cult of saints was the meeting-point of Grandisson’s interests as a prelate and a scholar: it was a means of stability and spiritual nourishment for the faithful facing the uncertainty of present times; for church and clergy it was a link with an illustrious past and a source of inspiration. Perhaps his greatest gift to his cathedral was a vast, two-volume Legendary which drew together the narratives for the feasts celebrated throughout the year. His Becket life appears to have been an early step towards this project, possibly compiled in his first decade at Exeter, or even before. He made reference to it in an exchange with his old master and mentor, Jacques Fournier, who ended his career as the Avignon Pope Benedict XII and died in 1342. It is conceivable that his compilation passed into Curial circles: a Vatican manuscript of the fifteenth century (BAV Lat. 1221, fos. 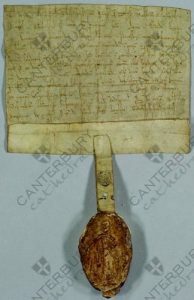 1r-27v) contains an anonymous account of Becket’s life that opens with the same incipit. There was a confirmed copy in Italy in 1492, recorded in the inventory of the library of the English College at Rome. 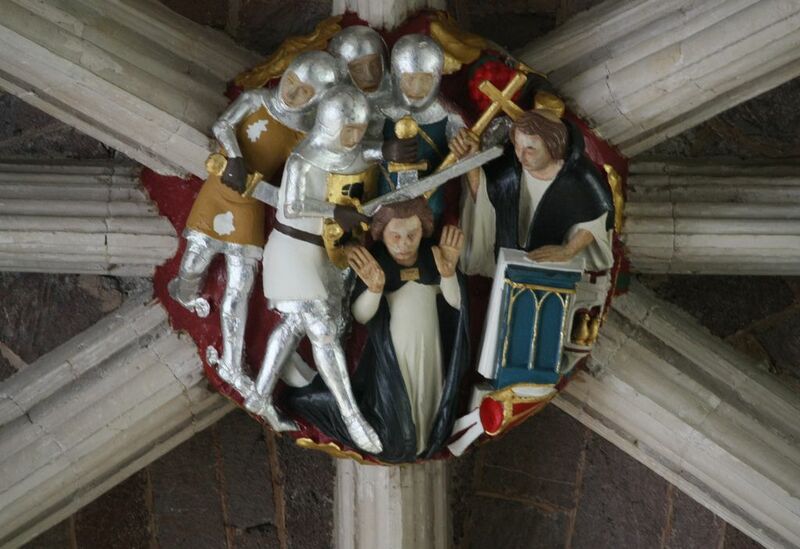 Surely Grandisson first turned his attention to Becket because of his place in the history of the church in England but at Exeter he can scarcely have been unaware of the special resonance of the story in the western diocese. 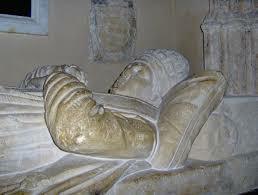 William de Tracy, one of the four assassins of the archbishop, was baron of Bradninch and lord of the manor of Moretonhampstead. His Devon lands were the focus of his penitential gift to the monks of Christ Church, Canterbury: Doccombe and adjoining lands to the value of 100s were presented to the Cathedral Priory in c. 1173. He requested commemorative masses for himself and for the new saint he had inadvertently created.